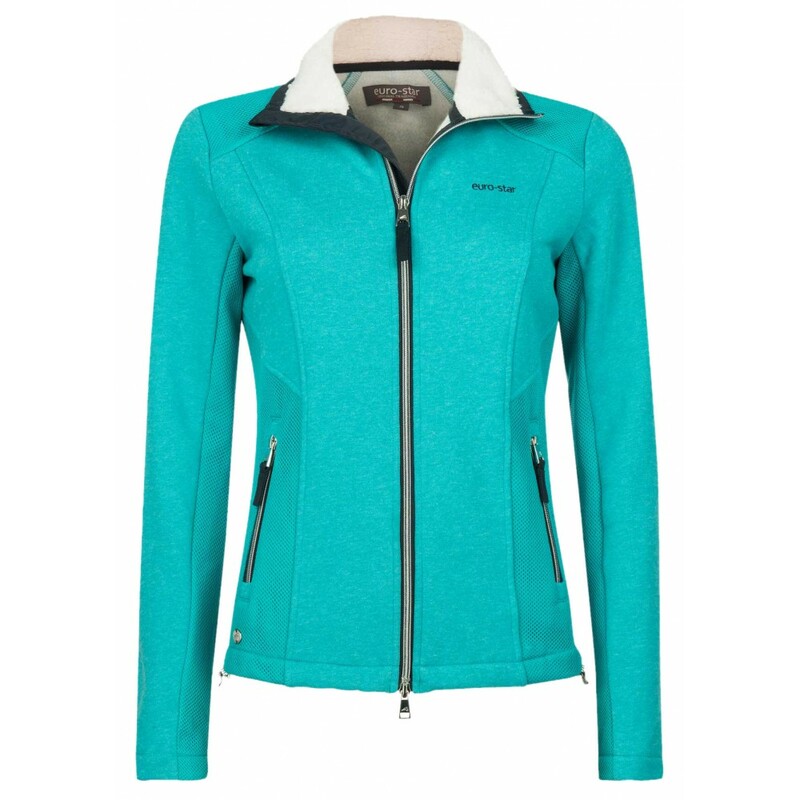 Fashionable ladies sweat jacket made of breathable cotton with high stand-up collar. With smooth fake lambskin at the inner collar. With tone-on-tone mesh inserts at the sleeves, at the side of the body and in the shoulder area. 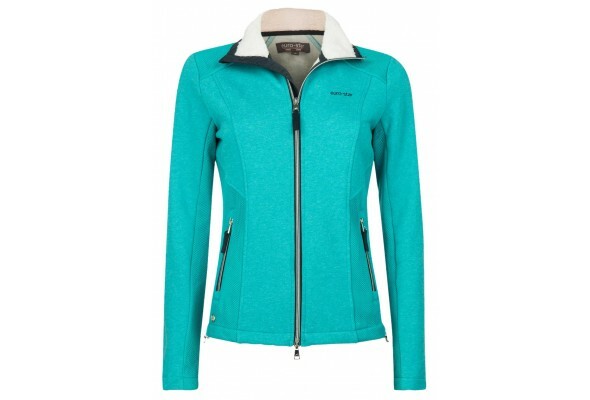 With zipper side pockets and 2-way-zip.